For alumni of the University of Dallas (like my husband and me), these early days of February hit deep (and drunken) chords. Groundhog is the best party of the year. Why? you ask. "Celebrate something. 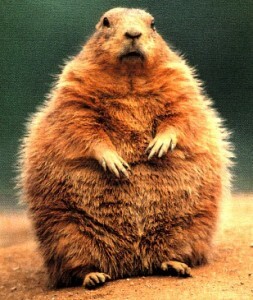 Celebrate Groundhog Day." At least that's how the story goes. This is not a blog about UD or about traditions or about groundhogs. I have struggled for a while deciding what this blog would be about. I wanted something for my far away family and friends to keep tabs on us; I've felt this longing ever since I found out I was pregnant. So would this be a (gasp) MomBlog?? Would I fill post after post with narcissistic musings about my children and my crafts and what I've cooked recently? I will admit very quickly that I like momblogs. I follow several that I find endlessly entertaining, but this question paralyzed me. I cared too much about what people thought about me to present my trivialities so publicly. But thinking about this story, about Groundhog day and the problem of starting a tradition, I realized that perhaps I should just take Dr. Grandfather Cowan's advice. Perhaps I should understand my project as celebration. The UDers who began the tradition of Groundhog were seeking something grand to make into a tradition and realized that they needed to celebrate something to make it grand. Here I give you a celebration of my little family. Coming from a university known for its traditions, I look forward to being a part of yours. I'm thrilled to bring some entertainment to your lunchtime. My blog will be like your cereal box. 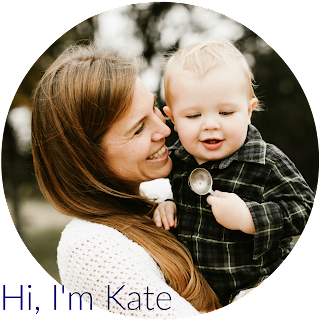 Yip.ee.e.e.e.e I am so excited by this, Kate! You are a wordsmith and I can't wait to read every.single.POST. Miss you! Grandpapa would be happy that you're telling the origin of the groundhog festival. I get a little nervous with UD's "officialness" of the holiday without talking about how simple, fun, and sort of unorganized it was in the beginning. It was like the Early Christians coming together to celebrate Christ secretly....well, this metaphor doesn't really work :) love you! I feel like I should start a blog for the sole purpose of adding you to my blogroll. ooo mary told me you started a blog! Hope its ok I am following with baited pupils..
oooooo and congrats on the bebe!!! I'm jealous..Julia is getting tooooo big! Yea! You have a blog too! Can't wait to read more!